Fit Testing in the UK - RPA for all your Fit Testing needs. Fit Testing is required under the COSHH, CLAW and CAW Regulations for all tight-fitting facepieces. 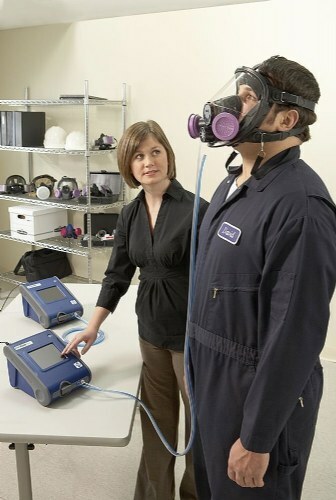 If your operatives wear tight-fitting masks in the workplace then you will need to provide evidence of a fit test for each different make, model and size of mask they use. The decision to carry out fit testing in the work place may be the best Health & Safety decision you’ll ever make. …and we’re passionate about providing the very best individual service we can for each and every one of our customers. Our team of Fit2FIt accredited consultants carry out thousands of fit tests every year throughout the whole of the UK for clients in every business sector. We truly are the industry experts, so if you’re looking for the best, then you’ve come to the right place!